How common is it for university students to compose, arrange, and perform their own piece of music? Ever imagine a student releasing their own album and starting their own entertainment company? One Sookmyungian has done it all with her sister and help from a professor at Sookmyung Women’s University. 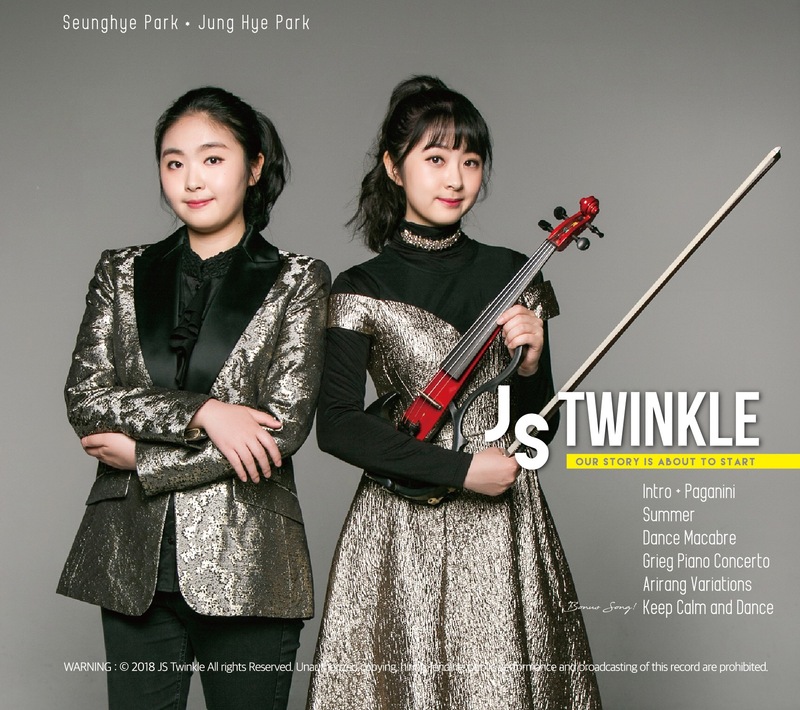 Park Junghye, Department of Orchestral Instruments ’12, is a founding member of the classical pop hip hop crossover duo, JS Twinkle, the other half being her younger sister Park Seunghye. The duo have been performing together since they were young, and they even performed songs composed by Seunghye at the 2018 PyeongChang Winter Olympics early this year. More recently, JS Twinkle had begun working with Professor Hideki Isoda of the Department of Orchestral Instruments and successfully released their first music album <JS Twinkle: Our Story Is about to Start>. The album consists of six songs, ‘Intro Paganini’, ‘Summer’, ‘Dance Macabre’, ‘Grieg Piano Concerto’, ‘Arirang Variations’, and ‘Keep Calm and Dance’. Professor Hideki Isoda said, “I am always open to collaboration with students. With their interesting ideas and strong passion, I am more than happy to support them as far as my time and energy allows.” JS Twinkle had the potential, and Professor Hideki Isoda was willing to spare each day during the summer months to work with them at school. “Take advantage of the facilities and professors at Sookmyung. They are great resources and supporters. You only live once. If you have a dream, now is the time to achieve it,” sayid Junghye to her fellow Sookmyungians who are diligently chasing their precious dreams.